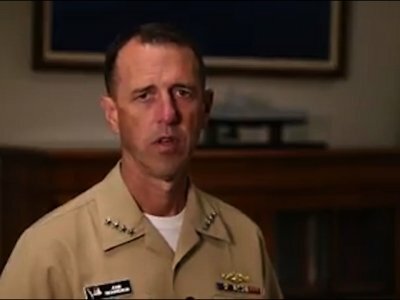 SINGAPORE (AP) — The U.S. Navy ordered a broad investigation into the performance and readiness of the Pacific-based 7th Fleet after the USS John S. McCain and an oil tanker collided in Southeast Asia, leaving 10 U.S. sailors missing and five injured. The destroyer was damaged on its port side aft, or left rear, in the 5:24 a.m. collision about 4.5 nautical miles (8.3 kilometers) from Malaysia’s coast but was able to sail on to Singapore’s naval base. Malaysia’s Maritime Enforcement Agency said the area is at the start of a designated sea lane for ships sailing into the busy Singapore Strait. A photo tweeted by Malaysian navy chief Ahmad Kamarulzaman Ahmad Badaruddin showed a large rupture in the McCain’s side near the waterline. Janes, a defense industry publication, estimated the hull breach was 3 meters (10 feet) wide. Baldor reported from Muscat, Oman. Wright reported from Bangkok. AP writer Robert Burns in Amman, Jordan, Eileen Ng in Kuala Lumpur, Malaysia, Deb Riechmann in Washington and Ali Kotarumalos in Jakarta, Indonesia, contributed to this report.